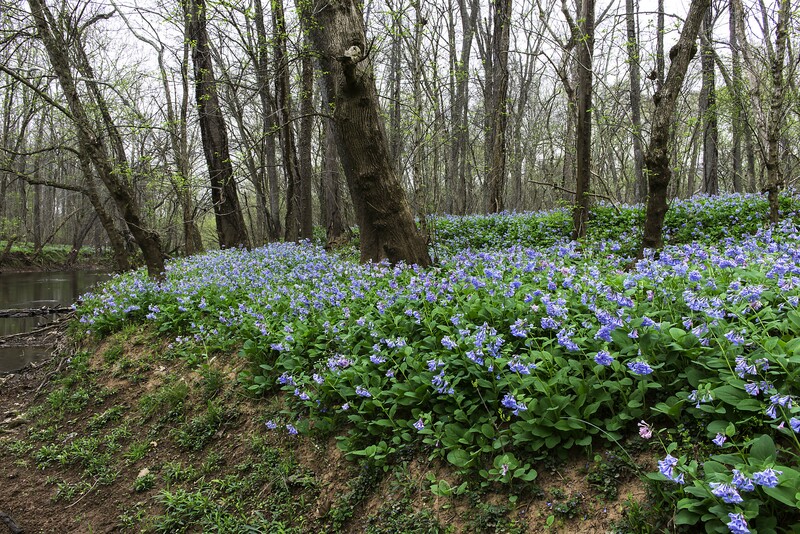 Today, April 15, is the annual Bluebell Festival at Merrimac Farm Wildlife Management Area located near Nokesville, Virginia. 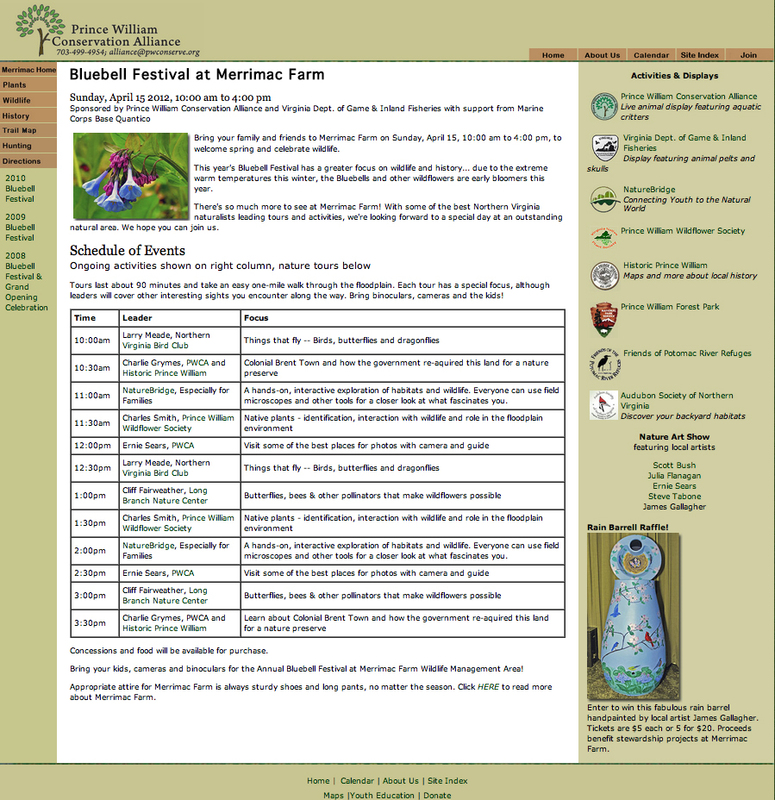 The festival is open to the public from 10:00 to 4:00 and includes a number of nature related activities and a nature art show featuring local photographers and artists. I will be exhibiting and selling 50 prints, all matted and some framed, including framed prints of the above Barred Owl and below bluebells. The weather today is going to be perfect for this outdoor, nature event. Hope to see you at the festival. 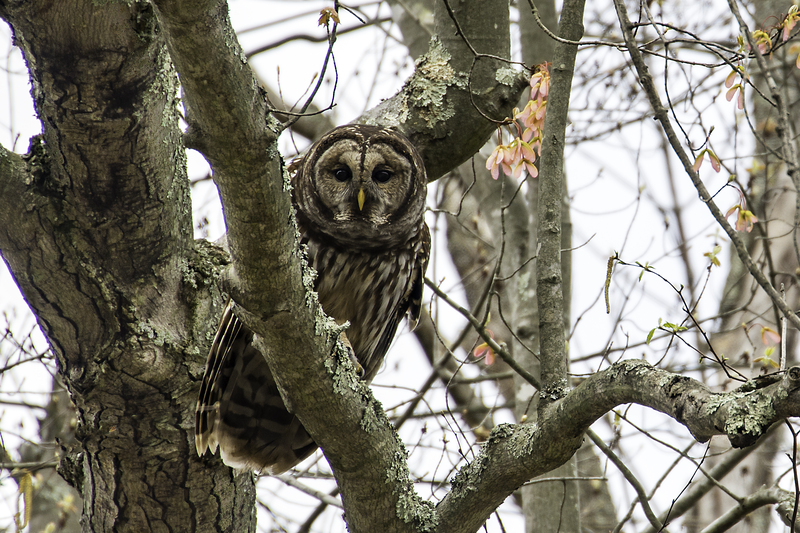 Besides preparing for the festival, last week I was out shooting more photographs of the Barred Owls, and a pair of nesting Ospreys and spring blooms at Leesylvania State Park, and I also made a day trip to Shenandoah National Park to photograph the spring growth and views from Skyline Drive. I will be posting a new articles this week (after I get my tax return finished). This entry was posted in Merrimac Farm Wildlife management Area. Bookmark the permalink. Your enthusiasm is reflected in the beautiful, photographs you are able to capture and the determination and patience you display in your endeavors is clearly evident.